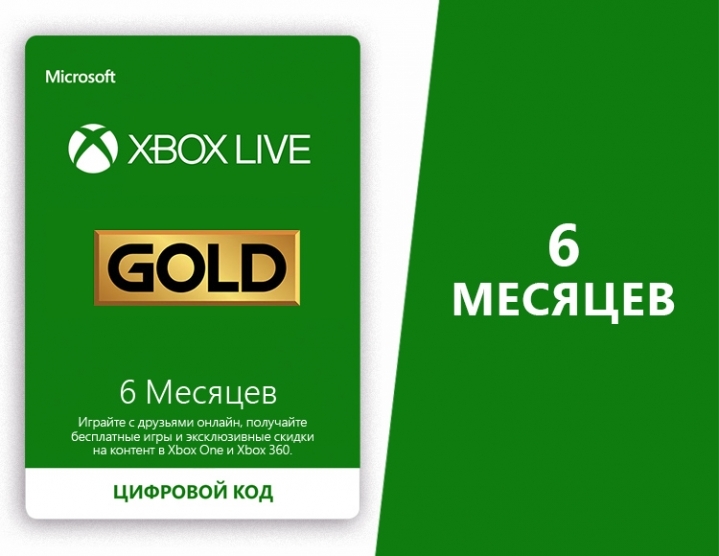 LICENSE KEY FROM XBOX LIVE GOLD CARD - 6 months IS DISPLAYED IN THE BROWSER WINDOW AND COME TO YOUR E-MAIL AUTOMATICALLY AFTER PAYMENT !!! Gold status Xbox LIVE Gold will open for you the world of entertainment. Easily play online with friends around the world. Chat with them right through your TV monitor thanks to the Video Kinect service. Before others, get access to demo games and enjoy unique discounts. Gold status Xbox LIVE Gold - your pass to the world of games and entertainment. For the full benefits of Xbox LIVE Gold Gold status, visit http://www.xbox.com/live. The feature set may be changed and may also vary from country to country. • Play with friends over the Internet, wherever they are. • Communicate with friends directly through the monitor of the TV through the service Video Kinect. • Before others, get access to demo games.